Fancy A Footballer As Your Next Haircut? 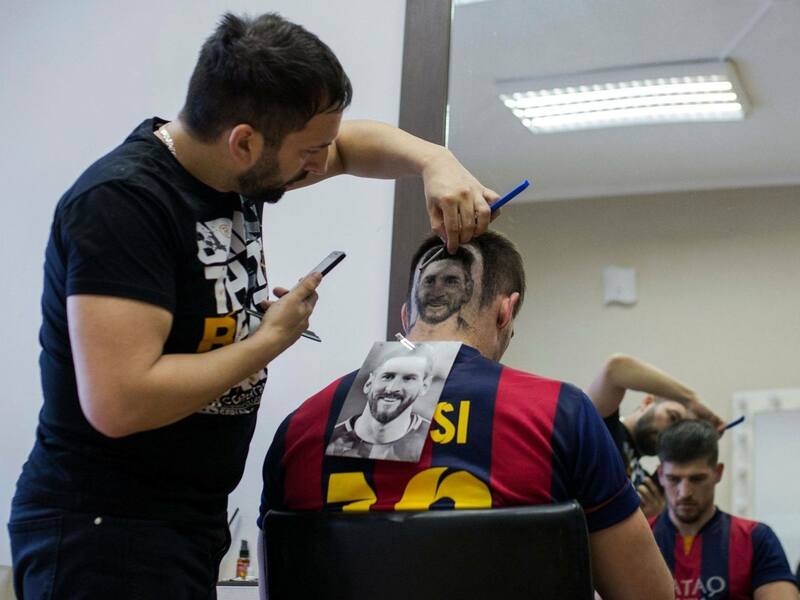 Football fans are showing their support for their favourite players through their haircuts. Mario Hvala, a barber in Serbia, is offering a hair tattoo for fans favourites – shaving pictures of stars like Lionel Messi and Cristiano Ronaldo into their heads. Mario says the process can take 5 to 7 hours and begun this special haircut 9 years ago when a customer asked him to do “something different”. The “tattoo” only lasts around 8-10 days due to the fast hair growth in the area. Which footballer will you be choosing?